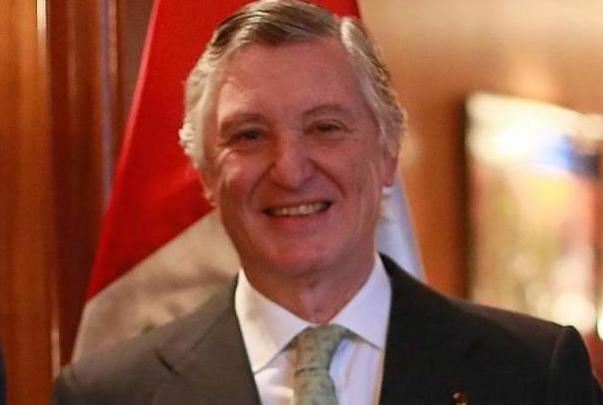 “Ambassador Carlos Pareja was designated by President Pedro Pablo Kuczynski as Ambassador of Peru to the United States of America and began his post in early September 2016. He is a career diplomat with a long time experience and has served previously as Peruvian Ambassador in Chile (2014-2009), Switzerland (2005-2003) and in the Kingdom of Spain (2002-2000). Ambassador Pareja began his Foreign Service career abroad as Political Counsellor of the Embassy of Peru in Washington D.C. (1984-1990). As Ambassador in Chile he managed the sensitive period of the controversy over the maritime boundary between the two countries, submitted to the jurisdiction of the International Court of Justice of The Hague in 2008, which was resolved in final, unappealable and binding judgment, in January 2014. Want to purchase a table for this event? Cost to sponsor a table is $1,000.